askchuckie Archives - All Chucked Up! 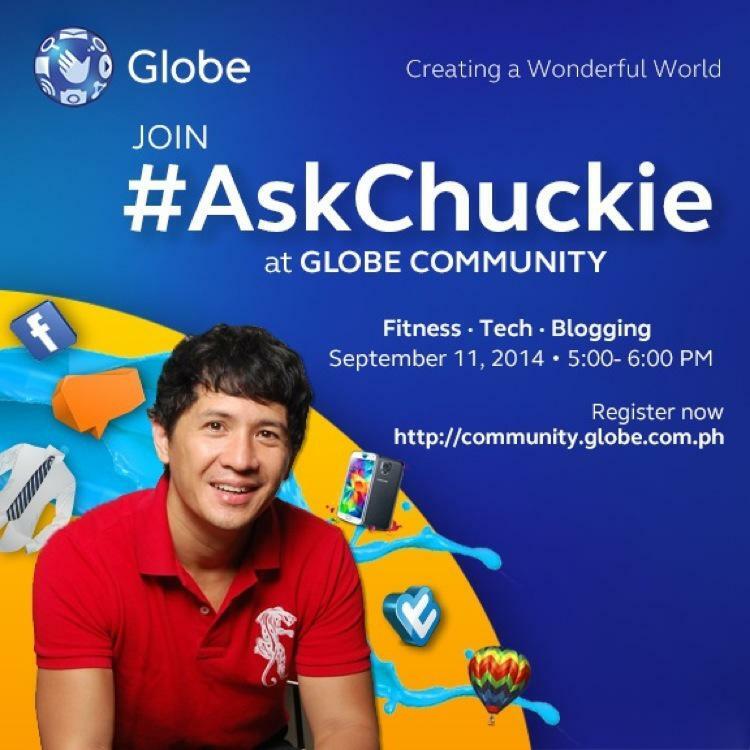 It’s ASK CHUCKIE (#AskChuckie) at Globe Community! Hey, everyone! Are you a tech enthusiast or a fitness buff? On Thursday at 5:00PM, JOIN ME at “Ask Chuckie” (aka #AskChuckie) at the Globe Community, and join a fun conversation with me about fitness, tech and blogging! I can’t wait to chat, share stories, give little tidbits of wisdom on everything I’ve learned about tech, staying fit (or getting in shape), blogging and social media. It’s gonna be loads of fun at the “Ask Chuckie” Q&A session! This is a great opportunity for me to get to know the Globe Community a whole lot better. Maybe along the course of our conversation, I may inspire you to put up a blog, maybe get up and head to the gym, or perhaps encourage you to do other things as well… who knows!